Christian Gutleben and Vanessa Guignery. 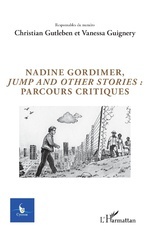 Nadine Gordimer, Jump and Other Stories: Parcours Critiques. Cycnos 34.3 (2018).